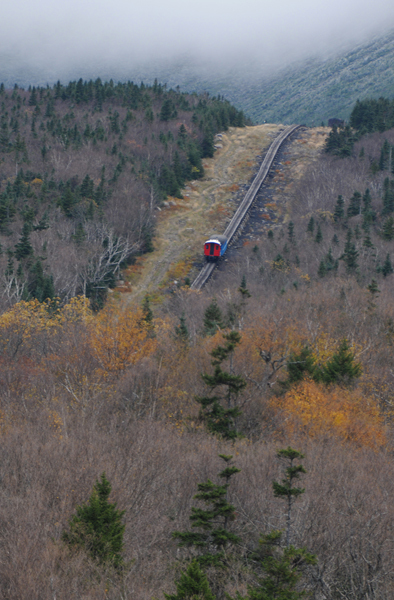 The world’s oldest cog railway (and second-steepest) is located right here in New Hampshire…it climbs Mount Washington, traveling from an elevation of 2,700 feet to the 6,288 summit on a track more than three miles in length. How steep? The average grade is more than 25%. 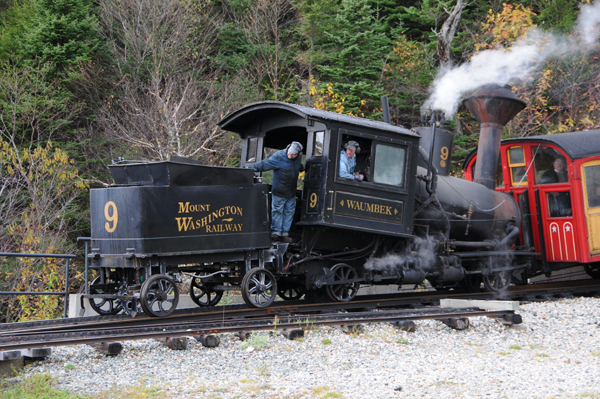 The train’s base station is located in beautiful Bretton Woods – home to some choice White Mountains scenery. 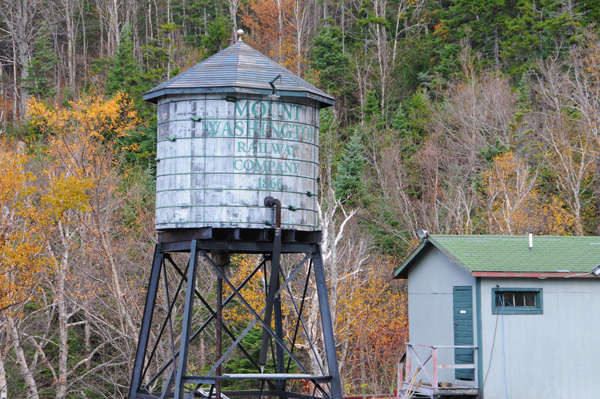 You can drive to the summit of Mount Washington, too (entrance to the auto road is located on the other side of the mountain, in Pinkham Notch near the village of Jackson) – but it’s fun to take the cog at least once. I did it with my father some years back on one of his early visits to New Hampshire. 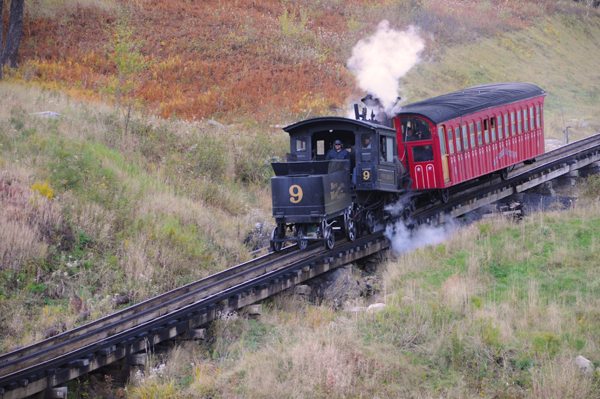 Though I’m in the vicinity of the base station fairly regularly to work each autumn (photography), I hadn’t been over to see the trains for quite a while. This season, I swung by and spent some time watching them in action. 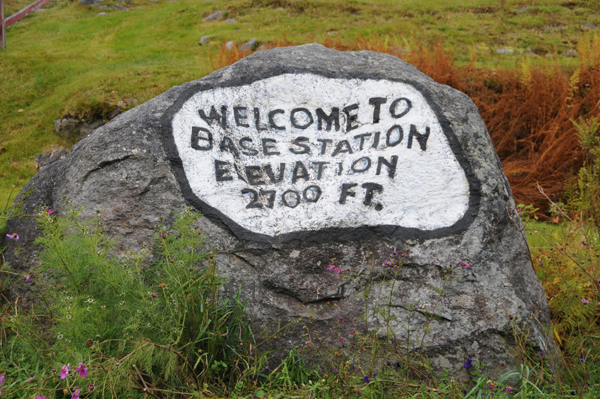 It was a cold, windy day with a very low ceiling – the folks heading up to the summit were not going to get any views – but still there were long lines and the cars were full.